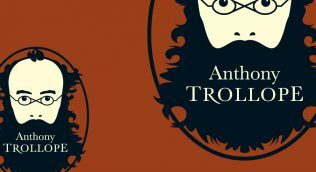 Michael Sheridan explores the circumstances surrounding Anthony Trollope’s bid to become MP for Beverley. Julia Miele Rodas recounts a week spent in London during the bicentenary celebrations visiting Trollopian and other literary sites. 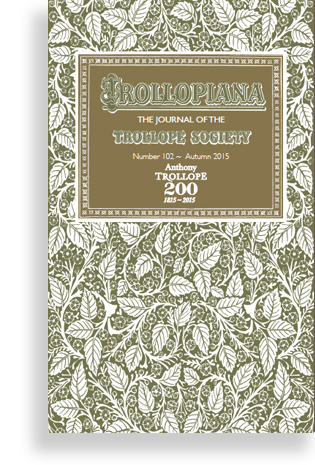 Dr Nigel Starck concludes his exploration of contemporary reviews received by Trollope, reaching 1876 – 1882. 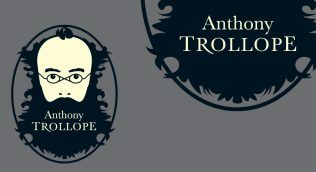 Peter Blacklock reviews Writing the Frontier: Anthony Trollope Between Britain and Ireland, by John McCourt. Frederick Vaughan examines Trollope’s description of the noses of men and women across his novels. Chairman of the Trollope Society, Michael Williamson thanks Pamela Marshall Barrell for her decade of service to the Trollope Society as Editor of Trollopiana. He has enriched our English fiction with characters destined to survive.